Vision versus reality at Base Village, where a construction fence with project illustrations separates a plaza from an unfinished portion of the project. 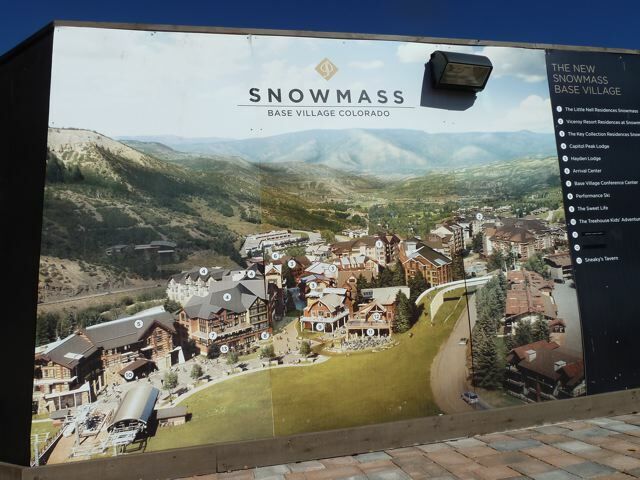 SNOWMASS VILLAGE — The developers of the stalled Base Village project at the base of the Snowmass Ski Area have been quick to blame the Great Recession for the project’s current state. But as a series of lawsuits between the developers and its lenders and investors show, there were a number of decisions made along the way that, in hindsight, can be seen as contributing factors. For example, while it seems implausible today that the developers expected to sell 600 condos in Base Village for more than $1.2 billion, such was the accepted thinking during the great real estate bubble of 2006. Indeed, there was an expectation that the project would generate $193 million in profits – or about a 17 percent return. It’s also clear that while the primary developer, Related Cos. of New York, still touts its financial wherewithal, the lawsuits show that the private company chose in 2009 not to meet the payment schedule on its $520 million loan from a German bank. After the market for ski condos crashed, Related walked away and like many other American mortgage holders, left the proverbial keys in the mailbox for the bank. The company eventually sued the bank, claiming that it had not continued to loan it money to construct Base Village. And it also had sued its former investment partner in the project, claiming it had not given it enough cash to keep the project moving forward. To date, judges have not looked kindly on Related’s arguments. In separate lawsuits filed in New York and Delaware, the judges concluded that the decisions either bankers or investors made regarding Base Village were consistent with the contracts and agreements they had signed with Related executives. Two different judges have dismissed Related’s claims for monetary damages. And both judges sounded exasperated by the arguments Related’s attorneys put forth during oral arguments. Now the German government, which controls the fate of the Base Village project, is trying to find a buyer for the complicated project, which was to include about 1 million square feet of development. But the lawsuits between Related and its lender, Hypo Real Estate Capital Corp., are still active, highly contentious, and have to be seen as complicating factor for any potential buyer. On March 1, 2009, a financial entity controlled by Related called Base Village Owner LLC was supposed to make a large payment to Hypo Real Estate Capital Corp. and three other banks as part of a $520 million loan for Base Village. Related Executive Vice President Bruce Beal had signed the 213-page loan agreement two years earlier, on March 1, 2007. The note was divided into a $174 million land loan and a $346 million construction loan. A schedule of multimillion-dollar payments had been arranged to pay down the land loan within three years. But Base Village Owner LLC didn’t make a $41 million payment on the land loan on March 1, 2009, according to court documents. And under the terms of the loan agreement, it then had to begin making monthly payments of $1.5 million. On April 1, 2009, Base Village Owner LLC didn’t do that either. Two days later, bankers at Hypo, acting as the agent for the other European banks, sent executives at Related a letter telling the company it was in default on the loan. Since then, Related has not made any payments on its outstanding debt. Because of that, Hypo and the other three banks filed a series of lawsuits in New York State Supreme Court against Related in the second half of 2010. At the time, the outstanding principal on the loan, with interests and fees, stood at $435 million. Today, the banks say the debt on the project has climbed to $505 million. 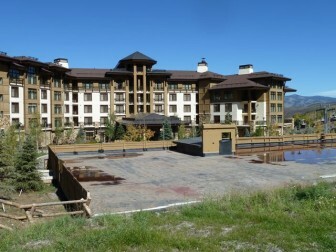 The lawsuits, now in the discovery phase, seek to force Related’s top executives, along with California developer Pat Smith, to make good on the outstanding balance of the Base Village loan and to comply with the nearly $300 million in loan guarantees the Related executives had signed before the condo market in Snowmass Village crashed. Related countered the banks’ lawsuits by suing the four banks in August 2010, in the name of Base Village Owner LLC. In that suit, Related claimed that because the banks stopped loaning it money, it had lost its chance to make $193 million in profits from selling 631,000 square feet of condos in Base Village at the bottom of Snowmass Ski Area. And Related claimed it and its investors also suffered a $213 million loss on the project, with its investors taking the biggest hit. Related’s suit sought $406 million from the banks: the sum of the collective $213 million in lost investments and the missing $193 million in potential profits. Hypo was the primary lender for the Base Village project. It was part of the Hypo Real Estate Group in Germany, which foundered in the first month after Lehman Brothers went bankrupt on Sept. 15, 2008. Germany eventually bailed out HRE Group. And today the Base Village loan is in the hands of executives at a government-backed entity in Munich called FMS Wertmanagement. Another German bank, DekaBank Deutsche Girozentrale, was also a Base Village lender, as was KBC Bank of Belgium. A fourth bank, Danske Bank of Denmark, joined the other banks in the deal when it picked up Lehman Brothers’ original part of the loan — thought to be about $50 million. Officials at Related, Hypo, Deka, Dansk and KBC have all declined to comment on the Base Village deal or the resulting lawsuits. Related’s arguments in its lawsuit against the banks were centered around the potential profits from condo sales at the Viceroy hotel, which was supposed to include two buildings. The second building, which has yet to be built, was seen by the developers as something of a cash cow. Called Building 13B in the plans, it was to be built on top of the hotel’s parking garage, across the courtyard from the building that includes the hotel’s lobby, restaurant, spa, and 173 condo-hotel rooms. “We built all the glitz first,” said Pat Smith about the Viceroy, in an interview last January. And Related says that because the banks stopped lending, they didn’t get the chance to build the second building. “Did you remind them of their obligations?” Ramos asked a short time later in the proceedings. “There were constant discussions back and forth,” Walfish said. “The project was a once-in-a-lifetime opportunity,” Related’s attorneys wrote in their complaint to the court. Also during oral arguments in front of Ramos, Celia Barenholtz, an attorney for Hypo with Cooley LLP, said that the bank did not have to advance the funds for the second Viceroy building because Related had already defaulted on its payments on the land loan. Barenholtz also said that Related’s only recourse under the loan agreement — if it felt the banks were not loaning money as they should be — was to file an injunctive lawsuit and discuss it in front of a judge. “They didn’t do that,” Barenholtz said, who also pointed out that the loan agreement specifically barred Related from seeking any monetary damages against its lenders. “I’m saying that they totally repudiated their obligations,” Walfish replied. “Every time someone breaches a contract they have acted unreasonably, judge. But that’s not what this case is about,” Walfish replied. Ramos had just brushed aside Related’s claim for $406 million in monetary damages against the consortium of European banks. Since Ramos’ dismissal of Related’s claims of monetary damages, Related has appealed his decision. So has Hypo. Its attorneys feel Judge Ramos also should have dismissed Related’s secondary claims and been done with the whole lawsuit. While the appeals from Related and Hypo continue in that lawsuit, Hypo’s attorneys are also pressing for summary judgment and for Ramos to hear oral arguments later this month on three other lawsuits, involving loan guarantees, that they’ve filed against Related and entities controlled by Smith, who is named in the suits. The first loan-guarantee lawsuit filed by Hypo and the other banks demands $195 million in three types of loan guarantees signed by top executives at Related and by Smith against portions of the $520 million loan. The first guarantee agreement includes what Hypo’s attorney Barenholtz characterized as a flat-out guarantee of $32.5 million. The same suit also includes a claim for a guarantee of another $160 million that was advanced to Related as part of the Viceroy construction, plus another $1.5 million guarantee tied to letters-of-credit for bonds issued by Base Village metro districts. The second lawsuit demands $101 million in completion guarantees to finish the portion of Base Village that Related had started before it bailed on the project, including the Little Nell Snowmass hotel. A construction expert has estimated it will cost $218 million to finish that portion of the village, which includes the second part of the Viceroy, the Little Nell and the village’s arrival center. And since there was $117 million not drawn down, or given out, on the original loan, Hypo wants $101 million from Related million to finish the job Related and Smith took on. And a third lawsuit from Hypo demands $11 million for deals that Related and Smith made around the Sinclair Meadows employee housing project, which had to be completed before the Viceroy hotel could open. The banks claim that Smith violated the terms of the major $520 million loan when he borrowed more than $5 million from United Western Bank and improperly used the Sinclair Meadows property as collateral (when Hypo and the other banks already viewed it as collateral). Sources close to the Base Village deal say the lawsuits against Related by the banks over the loan guarantees look fairly straightforward, and the suits are thought to be one of the reasons why Related and the banks are said to be in ongoing settlement negotiations. Things did not go any better for Related in its lawsuit against its investors in Delaware Chancery Court, as a judge ruled against it on July 23, 2010. Related had sued its former investment partners in October 2009, claiming breach of contract, breach of fiduciary duty, bad faith and unjust enrichment. In the suit, three LLCs controlled by Related, including Related WestPac LLC, sued JER Snowmass LLC, an entity set up to be a primary investment vehicle in the larger Snowmass Village project, which was to develop Base Village, the Snowmass Center and the Snowmass Mall. Related also named JER Real Estate Partners IV, L.P., and JER Real Estate Qualified Partners IV, L.P. in the suit, as they were the controlling entities of JER Snowmass LLC. All of the “JER” subsidiaries are under the umbrella of JER Partners, a large private real estate investment firm based in McLean, Va.
JER was mentioned in the March 1, 2007 press release from Related WestPac, an entity controlled by Related Cos., announcing its intention to spend $3 billion developing the three main commercial nodes in Snowmass Village. Officials at JER Partners have not responded to requests for comment. 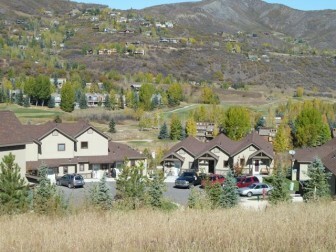 Originally, JER Snowmass LLC, which included money from JER Partners and the government of United Arab Emirates, had committed to investing $260 million in the entire Snowmass Village development project, while Related WestPac had committed to invest $24 million in the project, according to Related’s lawsuit against JER. Overall, Related sought to provide no more than 10 percent of the capital for the Base Village project through its Related WestPac LLC. And Related’s attorneys told the court that Pat Smith owned 8.7 percent of Related WestPac. But the investment structure changed as the deal went along, Related said. “Since the formation of the joint venture in March 2007, the joint venture partners have invested over $273,986,316 in equity in the project, of which Related contributed $101,058,161,” attorneys for Related told the court. And Related felt JER Snowmass LLC should have agreed to requests for $50 million more of investment capital for the Snowmass Village project between February 2007 and June 2009. However, Jacob Pultman, an attorney for JER with Allen & Overy, said in oral arguments that Related’s sole remedy if JER did not agree to a capital call was to put in more of its own money. And if Related did that, it could have added to its share of the deal and diluted JER Snowmass’ stake. Delaware Chancery Court Vice Chancellor Leo Strine Jr. seemed to agree. Related also claims that JER refused to give its consent to changing three parts of the larger “Snowmass Village” deal: a big Bank of America loan, the required Sinclair Meadows employee housing project and the downvalley Bair Chase deal. Bank of America had agreed to a two-year $110 million loan to a Related subsidiary on March 1, 2007, so it could secure properties in the Snowmass Mall and at the Snowmass Center. The loan, like the Base Village loan from Hypo, was guaranteed by Related Cos. executives, who said that the properties were worth $136 million. In February 2009, as the Bank of America loan was coming due, the bank realized that the property in Snowmass was no longer worth what it was said to be at the height of the market, and so it wanted Related to put up fresh cash against the loan. On Jan. 30, 2009, Related asked JER to put in $13 million more to help refinance the Bank of America loan, according to court documents. Shortly afterward, Related changed tactics and asked JER Snowmass LLC to invest another $20 million to extend the loan for a year. JER said no to both requests and the bank foreclosed on the properties. Why did JER refuse to help prop up the Bank of America loan, which was critical to keeping the overall Snowmass Village project together? Sinclair Meadows started out as a simple $5 million line item in Related’s business plan, according to attorneys for JER. But in February 2009, Related told JER it wanted to exercise an option to buy the land from the Aspen Skiing Co, instead of leasing the property and building employee housing on top of it. To do so, Related and Smith arranged a loan of $7.65 million from United Western Bank (this is the same loan that Hypo claims violates its loan agreement with Related and Smith). JER refused to bless the new loan Related and Smith proposed. So Related instead put in $9 million of its own money toward the Sinclair Meadows portion and took out a $5.4 million loan from United Western. Then, Related sought to offload the Bair Chase project between Carbondale and Glenwood Springs it had purchased in March 2007 for $17.5 million and $3.5 million in assumption of liens. In 2009, with PlainsCapital Bank threatening to foreclose on that deal, Smith said he would buy the 282-acre Bair Chase property from Related for $15 million. But Related needed consent from JER Snowmass LLC to consummate the deal. JER said because the sale from Related to Smith was an inside deal, it was not sure if it was a fair price for Bair Chase, where Related had sought to build 1,000 units. “What my client was seeking there, my client was seeking some way to make sure that it was a realistic market number,” JER’s attorney Pultman told the judge. Ultimately though, JER approved a $12.4 million sale of Bair Chase to Smith, but also negotiated for a 1 percent cut of the deal along the way. Smith has since said that he was fronting in the deal for Ted Skokos, a wealthy part-time Aspenite who still owns the Bair Chase property — now called RiverEdge. Smith said he no longer has a piece of the Bair Chase deal and an entity controlled by Skokos is seeking development rights from Garfield County for 366 units on the property. During the oral arguments in the Related v. JER case, Judge Strine suggested that Related’s attorney was wasting the court’s time. Strine also sounded hostile to the arguments being made by Related’s attorneys. At one point, O’Connor mentions that he doesn’t think a certain point about material actions is relevant. Like the oral argument in the New York case, this one had also not gone well. In his July 23, 2010, ruling on the case, Judge Strine dismissed Related’s complaint, writing “ … JER Snowmass was clearly free to give or withhold its consent in its commercial interests. “In the complaint, Related goes through at length, if not necessarily with clarity, a series of situations where it, as operations manager, sought consent and/or additional capital from JER Snowmass and JER Snowmass refused,” Strine writes. Case dismissed, and not in Related’s favor. Editor’s note: versions of this story ran in the Aspen Times, including a sidebar story, and in the Snowmass Sun.